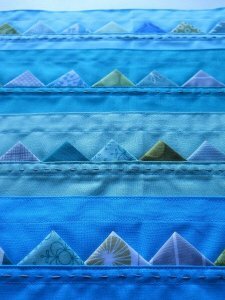 "Earlier this year I was invited to share a tutorial via the accuquilt newsletter. Unfortunately I’ve been unable to get hold of the link to share here so in case you missed it here’s my scrappy prairie point fabric napkin tutorial just in time for the festive table! 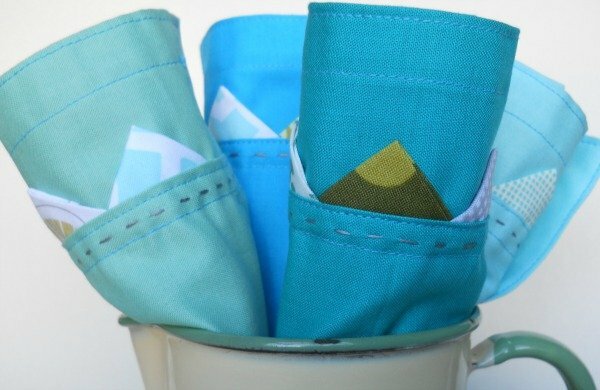 "Cloth napkins are one of my favourite ‘go-to’ handmade gifts. A useful gift and so easy to personalise, you can change them up by using seasonal fabrics or match colours to the decor – you can’t really go wrong! "I made a mis-matched set of four napkins in a friend’s favourite colour palette using fat quarters of Kona cotton for the napkin fabric. I raided my scrap bin for the prairie points. 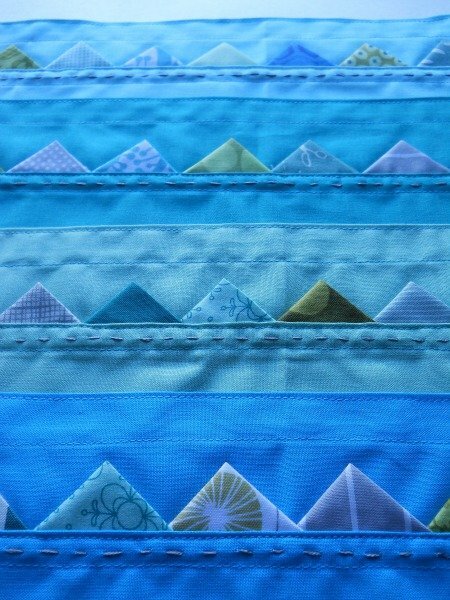 "My napkins have a finished size of sixteen inches square and each have ten prairie points. You can easily change the size of the napkin if you prefer a larger or smaller size."